Adrian Brown took this image of spiral galaxy Caldwell 30 (NGC 7331) in October 2006. 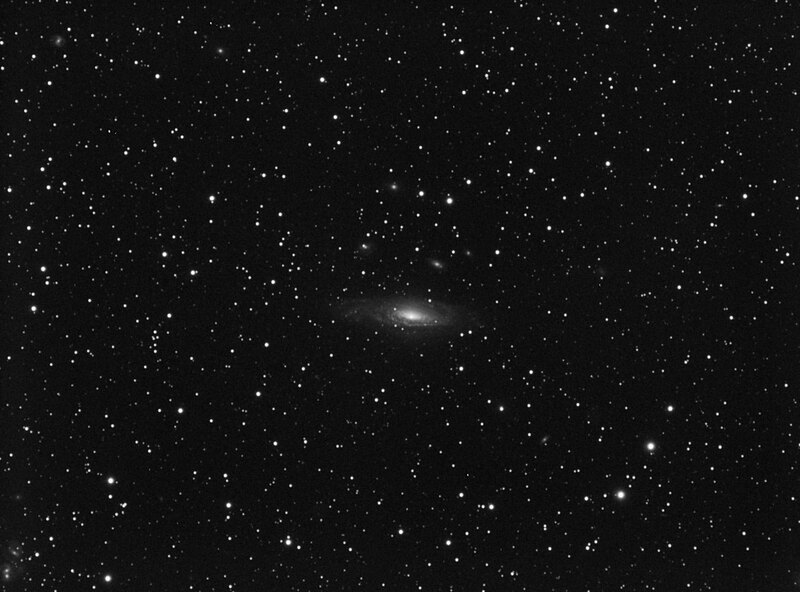 Adrian comments: "It’s a bit small for my 3-inch refractor but some interesting dust lane detail was captured in the galaxy as well as numerous fainter galaxies, dotted around the image. Also, in the bottom left of the image, the galaxy cluster Stephan’s Quintet has been captured". Adrian used an 80ED refractor and an ATK16HR CCD camera. Exposures details are 13 x 5 minutes through an Astronomik CLS filter and an Astronomik Clear filter (which cuts out the infra-red). Raw exposures were stacked in Maxim DL and processed in Photoshop with levels and curves. Also, a high pass filter in Photoshop was used to bring out the detail in the galaxy.